About half way through working on the series I decided to take the small cans to the next level. We figured out a way to "supersize" them. Here are 2 of the large cans I have been working on which are 3 feet in height. 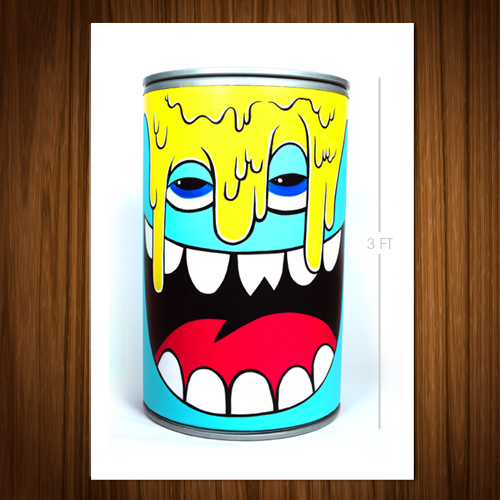 We will be releasing 15 of these tomorrow along with the small cans at the opening at Medicine Agency in San Francisco. It was nice feeling to work on a larger format after painting such of a small surface area for so many months. We are wrapping up hanging the show and finalizing the windows today. See you tomorrow in SF!